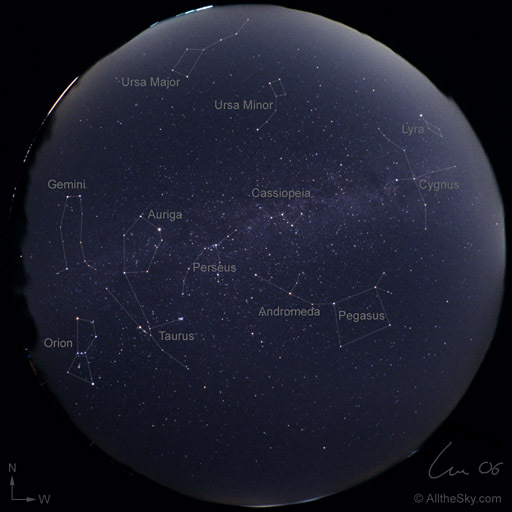 The conspicuous "W" of the constellation Cassiopeia and Andromeda reach their highest positions in the midnight sky of October. Prominent Orion has risen at the eastern horizon already. Ursa Major is still very low at the northern horizon.